During this interview, you’ll learn why self-care is so essential. 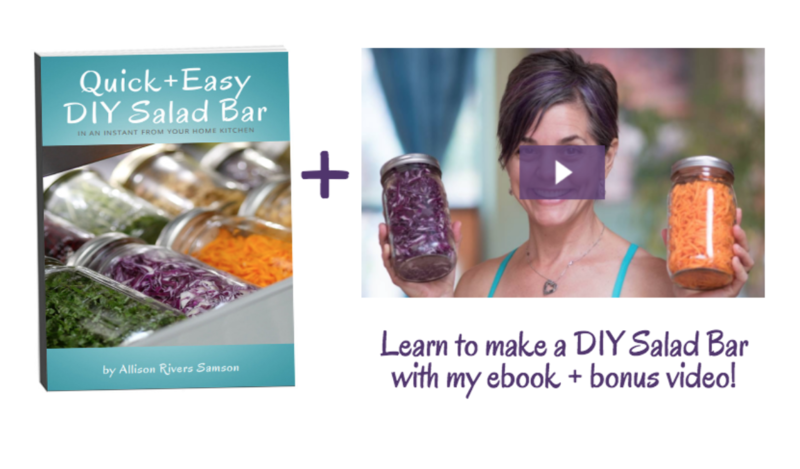 Click here to get Allison’s AWESOME DIY Salad Bar (I am SO implementing this in my kitchen). For 20 years, she ran Allison’s Gourmet, the first online vegan bakery and chocolaterie, which she retired in 2016. Allison is an award-winning vegan chef and author of Quick + Easy DIY Salad Bar Comfortably Yum, and The Dairy-Freedom Cookbook; Nia Black Belt instructor, mama to lifelong vegan Olivia, and co-creator of The Dairy Detox.